The fastest path to ideal clients and a targeted list does not lie in the latest and greatest marketing techniques. It lies in having clear strategic focus. Join me for this episode of “From Corporate to Creative” with our guest Cindy Schulson of AttractYourNiche.com. Discover the biggest missing piece that most soloprofessionals overlook when building their business. Learn the secret to finding your niche (it’s not just a matter of choosing a target market). How to stand out from the crowd and outshine the competition. The exact steps you need to take to attract your ideal clients. If you miss a step, you will end up with either no clients or the “wrong” clients. The #1 thing you need to build a targeted list! 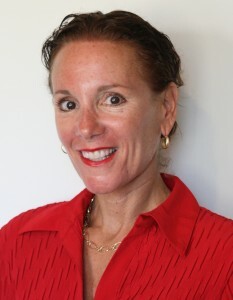 Cindy Schulson, Founder of AttractYourNiche.com, helps coaches, consultants and other solo professionals master their niche and attract their ideal clients. In order to market yourself with ease, you have to know WHO you want to attract, WHAT solution you provide and WHY people should work with you. Cindy helps her clients put together these three pieces of the “Niche Puzzle”so they can attract their ideal clients, earn more and market less. Cindy brings both coaching experience and over 20 years of business experience. She has an MBA and has worked in Strategic Communications for such companies as Coca-Cola and Visa International. Cindy’s Niche Success Kit has helped guide thousands of solo professionals on the road to finding their own niche. Grab a free copy at www.attractyourniche.com. Want to check out more episodes of the “From Corporate to Creative” radio show? Click here. How about the “Creative in Business” podcast? Click here.